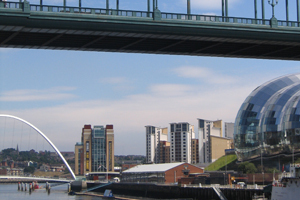 Newcastle Gateshead has secured the contract to host the 52nd Annual Meeting of the European Society for Paediatric Research in October 2011. The Sage Gateshead will host the society's flagship annual conference, which is set to attract more than 1,100 delegates from across the world. The three-day event is estimated to have an economic impact worth £1m to the local economy. The event will be delivered by global association and congress management company Kenes International. Kenes International purchasing manager Perry Gil-Ran said: "Newcastle Gateshead offers much to entice conference bookers, from great iconic venues to excellent transport links and top hotels."